Bill Cosby has dimmed the lights, put on an Etta James album, and begun doing a comically exaggerated dance of seduction as he slinks back toward the NBC couch. 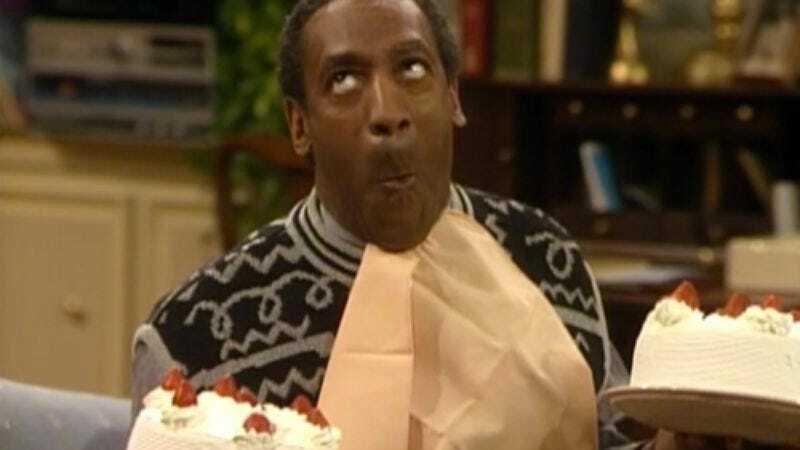 Deadline reports that, after months of back and forth that interrupted the enjoyment of countless sandwiches, the two parties have reached a deal that will find Cosby rejoining their sitcom family in the summer or fall of next year. The pilot will be written by Mike O’Malley, who will co-produce alongside Mike Sikowitz, a pair that last collaborated on NBC’s “What if a white guy had to talk to a Latino guy?” comedy, Welcome To The Family. O’Malley ostensibly drew on that experience with broadly sketched conflict—as well as reruns of The Cosby Show—to come up the new concept, which finds Cosby playing “Jonathan Franklin, a patriarch of a multi-generational family who shares his many years of wit, wisdom and experience to help his daughters, sons-in-law and grandchildren navigate their complicated modern lives.” For example, suggesting that they put away their cell phones with the texting and the Skyping and the bopping and listen to some nice jazz. Schedule permitting, O’Malley will play one of those sons-in-law in what’s described as “a classic big extended family sitcom” by NBC’s Jennifer Salke, who previously heralded the network’s transition into “big, breakout ideas that are incredibly unique,” like a family sitcom starring Bill Cosby. It’s hoped that Cosby’s return to the NBC living room will work out better than the network’s last reunion with family member Michael J. Fox, who has since been sent off to Africa as a photographer’s assistant, never to be spoken of again.